4ways to make your home offer stand out. As home prices rise and the inventory of homes for sale shrinks, homebuyers realize they have to adapt to a market in which sellers call the shots. Fall in love with a place that fits your budget, and get in line with other buyers bidding on the same home. Thatbs how the story goes for buyers in competitive markets. They must give sellers enough reasons to pick their offer over offers from other bidders. Here are four ways to make your home offer stand out. Let them know how important the house is to you, how special it is. Let them know you are going to take good care of it. When you have competition, donbt ask the seller to give you 15 days to inspect the home. You donbt need more than five days to get an inspector there, request no repairs. Home purchase contracts normally are contingent on financing and appraisal, giving homebuyers the right to get their deposits back if they canbt finance the home or the appraisal doesnbt support the purchase price. For homebuyers who are getting a mortgage, waiving one or both contingencies can improve their chances when competing with cash buyers. But itbs risky. 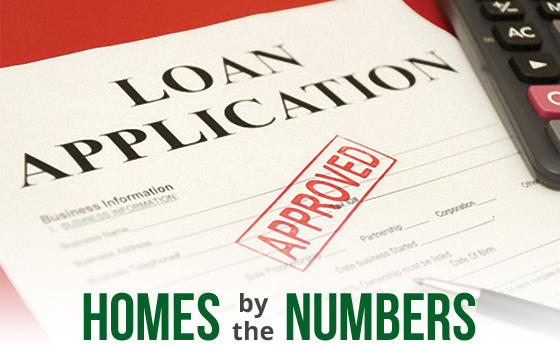 Donbt bother submitting an offer on a house without a loan preapproval in hand. If you really want to please the seller, get preapproved for a conventional loan. 5dirt-cheap home staging ideas. Getting ready to sell your home? Appearance is everything. Thatbs where home staging comes in. But hiring a professional bstagerb to prepare the home for prospective buyers can cost anywhere up to $150/hour. Fortunately, homeowners can take matters into their own hands. Here are expert tips for staging your home that cost next to nothing. 6ways homebuyers overpay. Homebuyers often undermine their own best interests and end up overpaying and have a hard time exercising discipline when it comes to price. They should familiarize themselves with some of the common ways that end up causing them to overpay. Sellers use open houses to drum up interest in their property. Itbs easy to get caught up in the frenzy of an open house. If youbre purchasing real estate with your significant other, youbd better get on the same page or youbll end up stretching your wish list. Typically, buyers spend months or more searching for a home. But not all buyers have that kind of time, especially if the purchase is driven by a life change, such as a new job or a divorce. Unless the property has been sitting on the market for months or more without so much as a nibble, agents advise buyers against making low ball offers, which are substantially below the asking price. The reasoning is that low ball offers really arenbt offers at all because sellers either donbt take them seriously or see them as an insult. In a competitive market, buyers commonly spend months making offers on multiple homes. The process can be exhausting and demoralizing — and expensive. A deal is supposed to be a deal. But in hypercompetitive markets, sometimes sellers renege after accepting an offer, only to jack up the price. 4frugal ways to expand your living space. Many homeowners have outgrown their living space due to a growing family or changing lifestyle, thus facing a choice. Either they make the most out of their current living space or put their talent, muscle and money to work expanding it. While following these tips isnbt likely to make castles out of condos, youbll be surprised at the amount of extra square footage available in your home. Maximizing your living space may require you to think outside of the box, or home to be more specific. If you have a yard with some useless, empty space, you have a perfect opportunity to dramatically increase your living space in a stylish, fun and unique way. The absolute cheapest and easiest addition that you can do is creating an outdoor room. Do you remember being a poor college student living in a cramped room, perfectly content, using a milk crate as a chair and storage bin? One option is furniture that can double as storage such as tables and beds with drawers or ottomans with storage chests hidden inside. 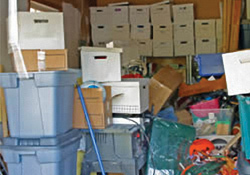 Another great way to declutter your home and store things is to get as much as you can off the floor. Put it away! Making rooms serve multiple purposes is a great way to make the most of your living space. Many rooms donbt necessarily need to be used exclusively for their intended purpose. With office electronics such as laptops and printers shrinking every year, that formal dining room you rarely use for dinner has the makings of a perfect home office or study. It may not be cheap or easy, but the most permanent, long-lasting way to add real space to a home is a custombuilt addition. 6must-dobs before buying a home. You might be ready to buy a home, but are you armed with the knowledge you need? Whether you are a first-time homebuyer or an experienced owner, buying a house requires a bpreflight check.b Here is a six-item checklist. Save for down payment and closing costs. Get preapprove for a mortgage.